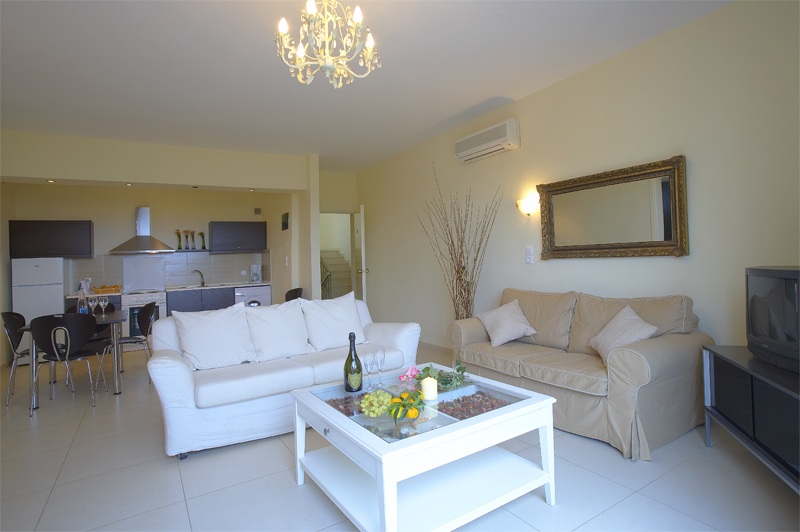 Dear guests it is a pleasure for us to welcome you to the totally rebuilt in 2007 and renovated again in 2011 La Stella apartments and suites which has become a sparkling new exclusive accommodation. 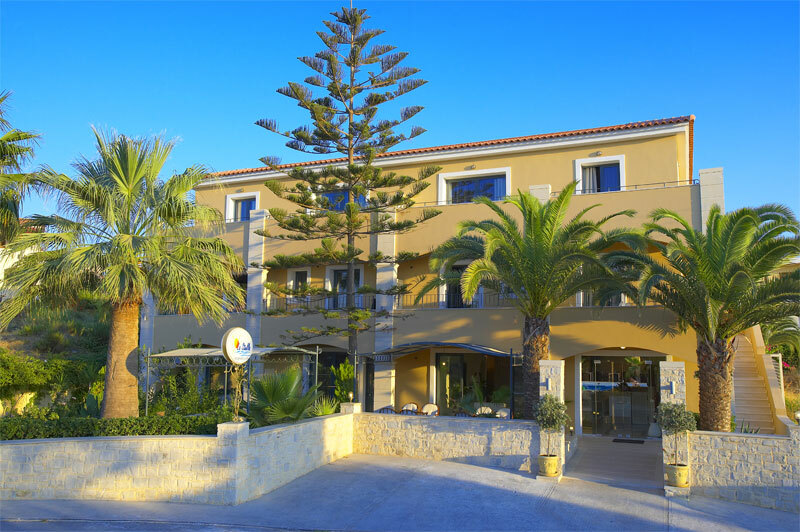 La Stella is a small modern boutique hotel with 27 exclusive apartments and suites, with all the required facilities for ideal holidays for families and couples. It is located in Platanes village, 4km from the town of Rethymno and just 400 meters from the blue flag awarded sandy beach of Platanes. 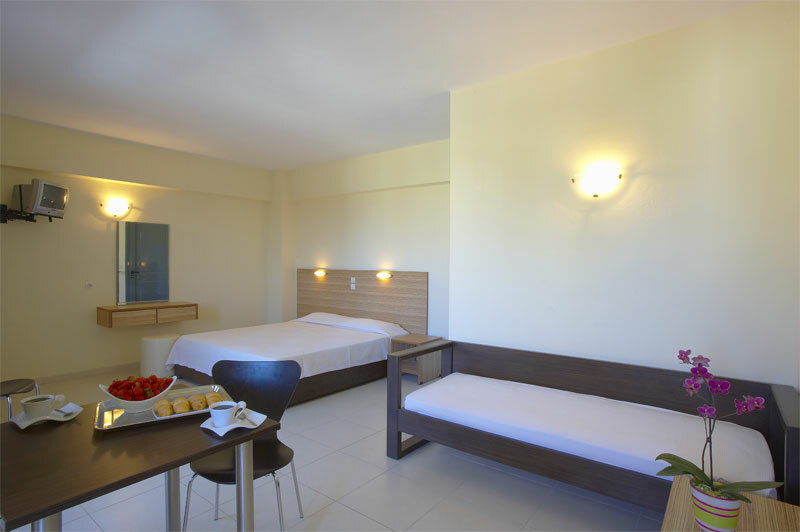 During your staying in this upgraded environment we will try to meet your best expectations and satisfy you with the quality of our services. 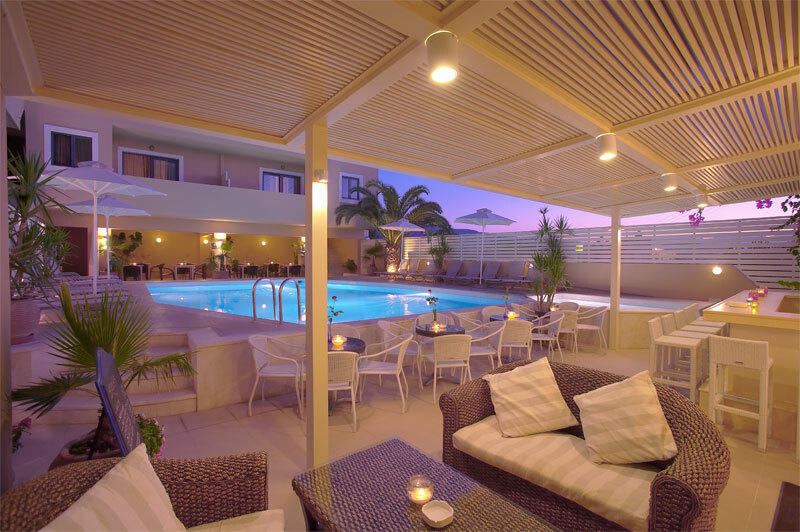 Our facilities are planned to offer our guests a cool atmosphere that will drive them to a holiday feeling. Reception, with travel services, Airport/port transfer, free outdoor parking. 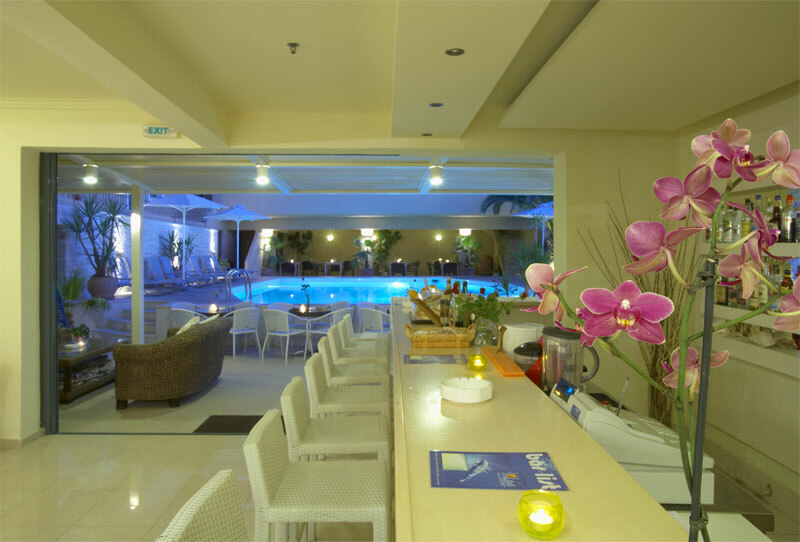 Two swimming pools (one for children), breakfast area serving a rich buffet, chill out lounges scattered all over the place, cool down areas where guests can watch TV, read a book or check their mail. 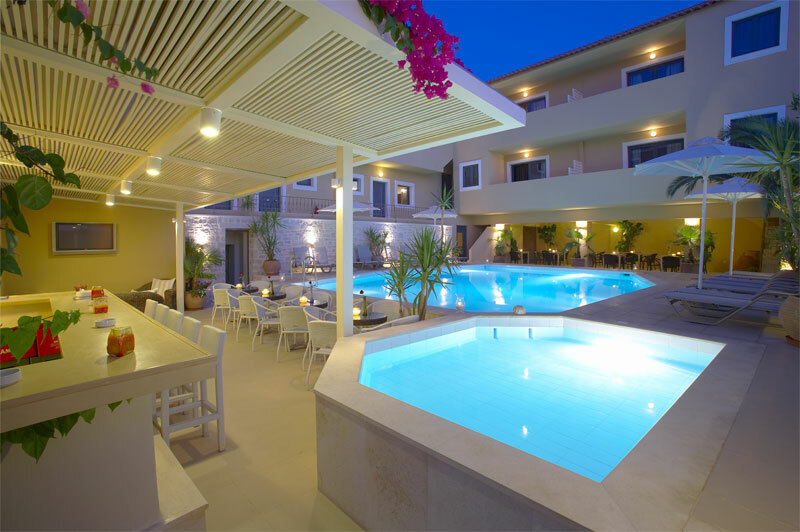 WI-FI access, Internet corner/fax services, Satellite TV corner, Pool/snack bar from early hours serving drinks and meals, night bar till late hours playing selected music all the time, car and bike rental, massage service (upon request), diving excursions. 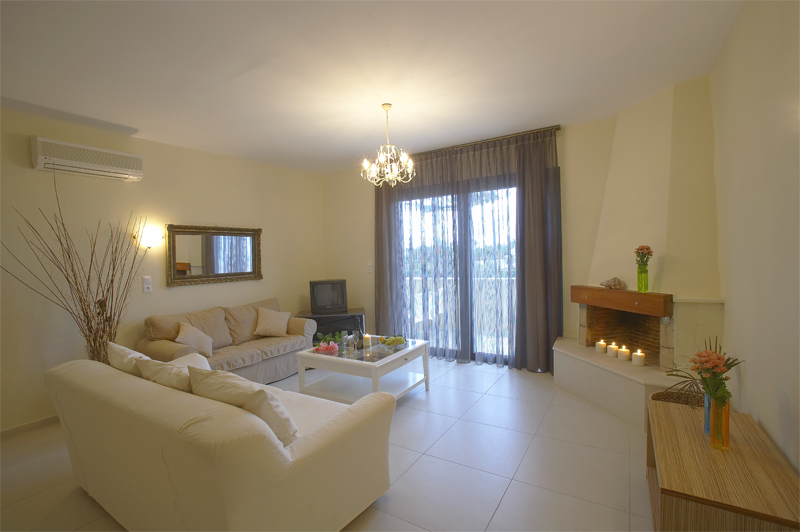 All type of rooms have been renovated in 2011� and have been upgraded ! Simple luxury is what characterizes the hotels rooms, selected furniture, zebrano and wedge wood, granite and stone are some materials used in the decoration of the rooms, along with warm colors create a cool ambience. 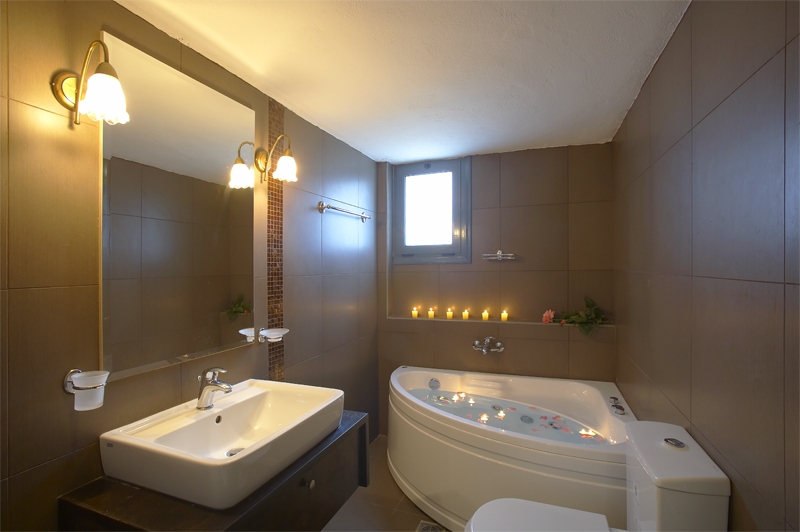 All rooms offers a fully equipped kitchen with fridge, coffee machine, water heater, private balcony with view, bathroom with shower, bathtub or jacuzzi, satellite TV, hairdryer, aircondtion, safe box, telephone and Wi-Fi access.